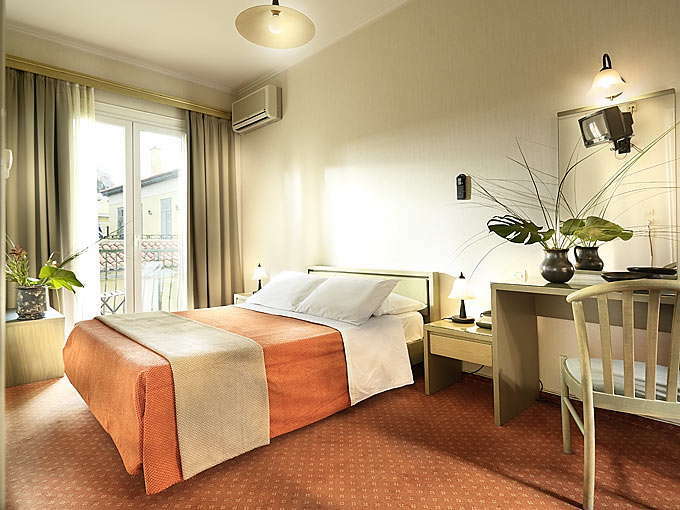 A basic but comfortable 22 room 3-star hotel right in the heart of the historic Plaka and next to the Roman Agora. 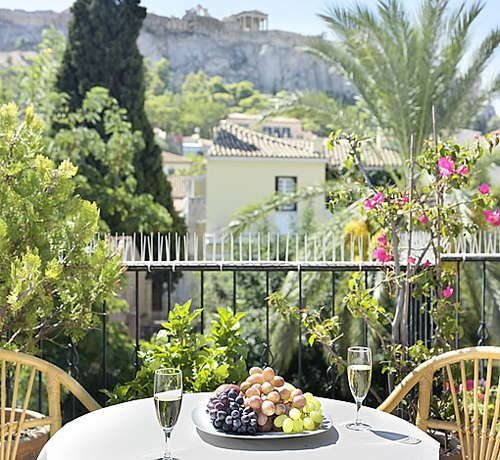 Some of the rooms have views of the Acropolis as does the plant-covered rooftop, where breakfast is served during the warm months of the years (April through November). There is nothing spectacular about this lodging but it is a good practical base if you are traveling on a budget. YOU SHOULD KNOW Wi-Fi is free and the signal is pretty strong throughout the hotel but the signal needs improvement. Rooms are basic and dated, with TV, mini fridge, safe, coffee/tea makers (a real bonus in Greek hotels), and of course A/C. For a short sight-seeing trip to Athens the amenities on offer are more than adequate. The rooms at the back face the Acropolis with the famous Erectheum temple, as well as the village-style red-tiled rooftop of the homes in Plaka. Front facing rooms look out onto a buzzy little square and yet another ancient site. YOU SHOULD KNOW The rooms towards Acropolis are quiet, but in the summer months too hot to sit out on the balcony during the day. 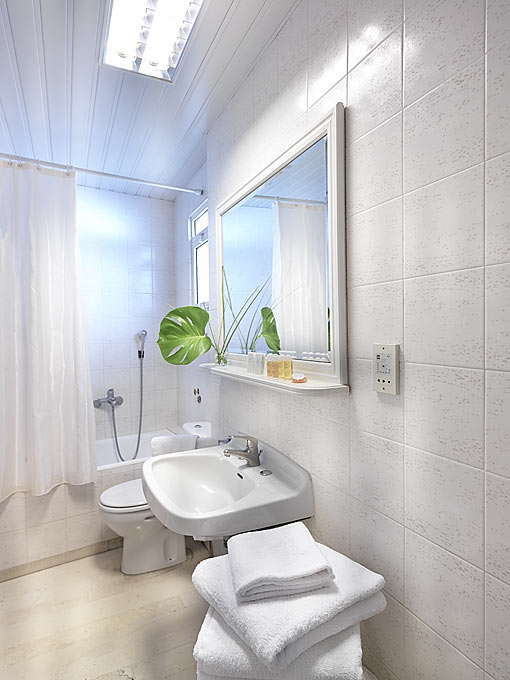 The best and most modern aspect of the rooms are the recently renovated bathrooms (2015). 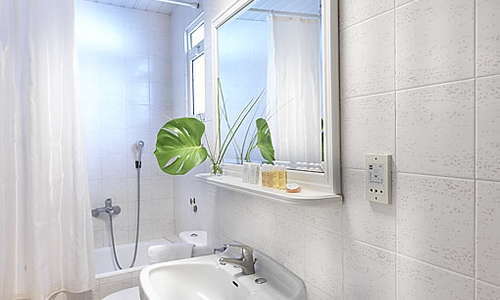 The squeaky-clean bathrooms all have bathtubs, strong showers with constant hot water and hair dryers. YOU SHOULD KNOW The bathtubs are on the small side, probably only suitable for showering if you’re an adult. 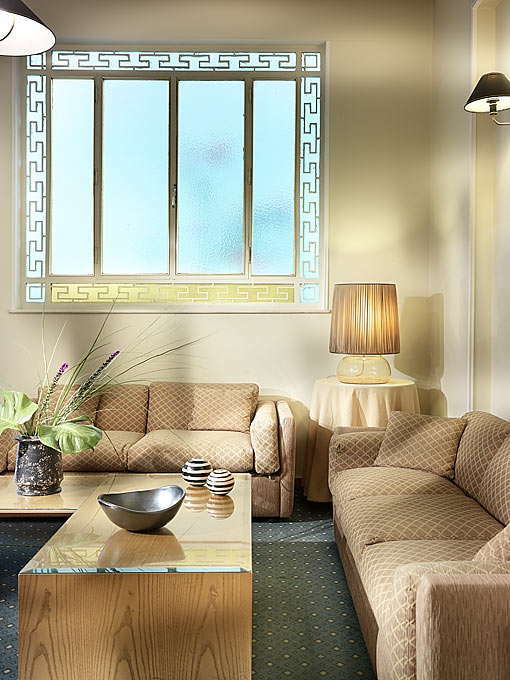 The functional lobby, with chequered dark and light cream marble floors, is small and pokey. 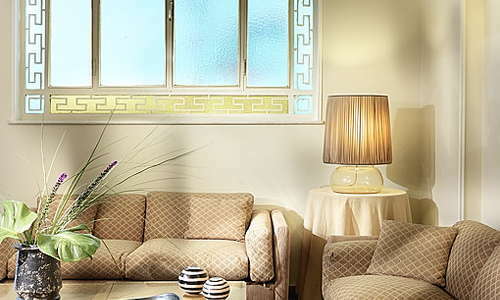 There is a little sitting area with Ancient Greek-inspired artworks hanging on the walls. Apart from some snacks the main meal is a Mediterranean buffet breakfast served on the beautiful tented rooftop with the Acropolis views. The French coffee and freshly squeezed orange juice are complimentary but if you want espresso or cappuccino you will get charged extra. During winter breakfast is served in a rather dour space on the ground floor. There is no hotel bar, and unfortunately the rooftop terrace is closed after breakfast for all guests. YOU SHOULD KNOW The square in front and next to the Roman Agora has 3 café/bars. The nearest metro stations are the Monastiraki (5 minutes away on foot and one stop away from Syntagma) or Syntagma (10-minute walk). Both Monastiraki and Syntagma stations have direct trains to and from the airport (a 45-minutes ride). If you prefer to take a taxi from the airport, it will take about 35 minutes and it will cost around 35€ during the day and around 55€ at night (00:00-05:30). The airport bus goes to Syntagma square and takes 45 minutes (6€ one-way). Great places to eat are not lacking in this area. A short jaunt away (3-minute walk) is the fun Ikarian Greek eatery Kapnikareas, it’s a favorite haunt of Athenians who especially like the live Greek music. Also very close is the kebab specialist, but not only, Thanassis (5-minute walk) which is very popular and always busy. Feel more adventurous and want a break from Greek cuisine? Then try out the Peruvian flavours at La Pantera Negra (1-minute walk). The food here is so good it may well inspire your trip. For a quick bite, pop to O Kostas (5-minute walk), a small hole in the wall which, according to many, serves the best souvlaki in town. Head up to to 360 Degrees (5-minute walk) for drinks and a spectacular panoramic view of Athens. If you don't have a head for heights but a taste for wine, then pop over to Vintage (2-minute walk), considered as one of the best wine-bars in Athens. Not far is the very trendy Ipitou Bar (5-minute walk) that concocts exciting and moreish cocktails. 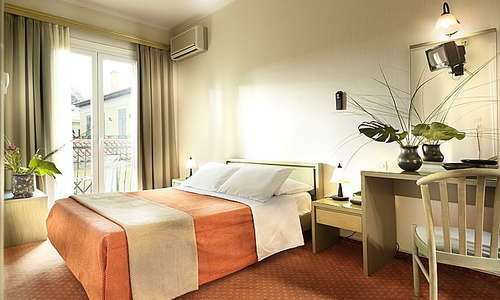 There are few more central and convenient places to stay on a trip to Athens. 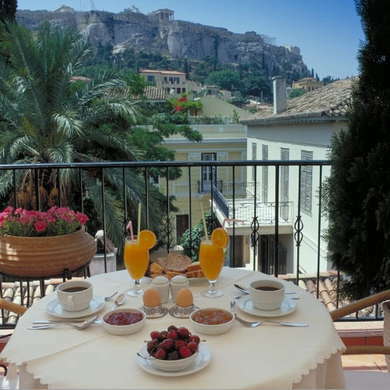 Walking distance to all the major sites and in the lovely historical district of Plaka, the hotel has views of the Athens’s major attraction, the Acropolis, and all this for a very reasonable price.